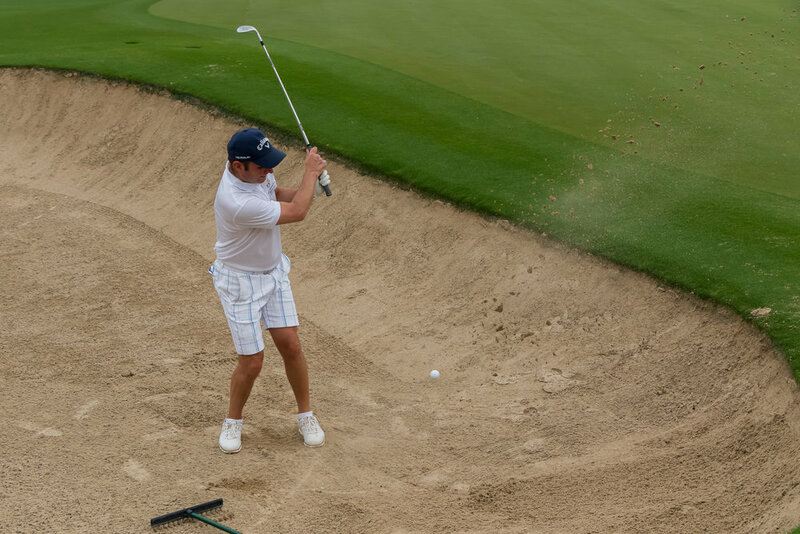 The Nordic Open Golf 2019, powered by Volvo, turned out to be, yet again, a great success! 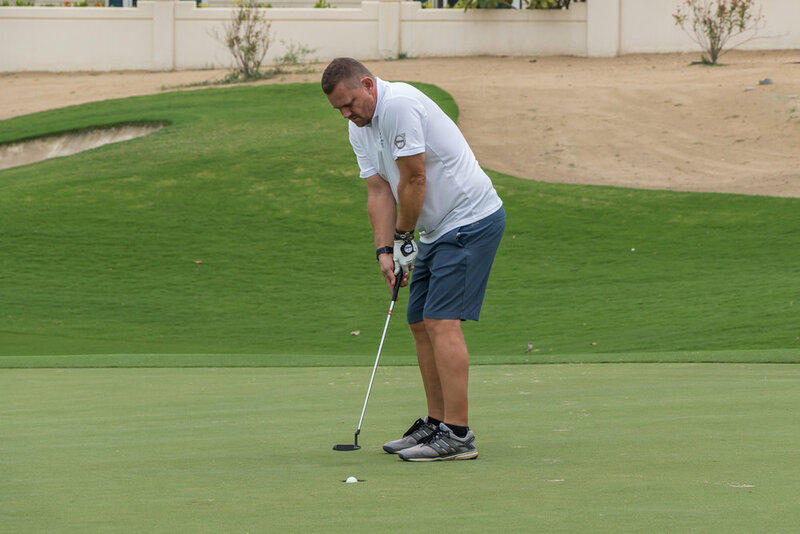 50 players spent a lovely day at the Els Club, Dubai, competing over the trophy and the grand prize of a return flight ticket with Emirates! 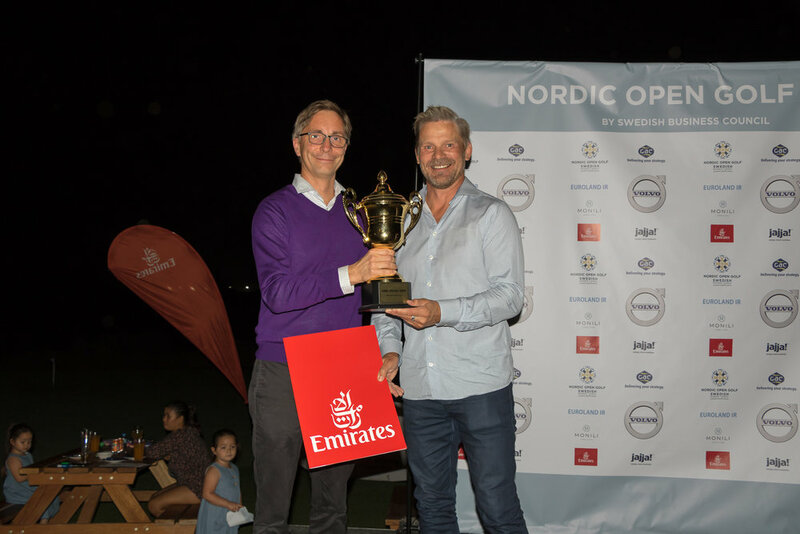 The Nordic Open Golf is, as many of you know, a tradition with the Swedish Business Council and a very appreciated event. We invite our members and their extended network the to this day of golfing, mingling, networking and good food along some fab company. The day on the course is followed by an awards dinner where our non-golfing members add to the guest list. This is also when the grand prize is awarded to the winner of the tournament. This year the Emirate return flight ticket to Stockholm/Copenhagen was awarded to Jari Tuominen. Big congrats and well done! Winner Jari Tuominen (right), and Volvos Fredrik Samuelson. Applause and thank you to all players and guests making this Nordic Open Golf such a great event! A special THANK YOU to our main sponsor Volvo, who has been supporting this tournament for many years. We couldn't have done it without you! And finally a shout out to all our amazing sponsors and partners for helping us making this day one to remember! Have a look at the image gallery below. We can’t wait to next year! Return Flight ticket to Scandinavia with Emirates.